After years of stagnation, the "new thinking" (Anatoli Cherniaev, 2008: 131) of younger Communist apparatchik began to emerge. Following the death of terminally ill Konstantin Chernenko, the Politburo elected Mikhail Gorbachev to the position of General Secretary of the Communist Party of the Soviet Union (CPSU) in March 1985. At 54, Gorbachev was the youngest person since Joseph Stalin to become General Secretary and the country's first head of state born a Soviet citizen instead of a subject of the tsar. During his official confirmation on March 11, Foreign Minister Andrei Gromyko spoke of how the new Soviet leader had filled in for Chernenko as CC Secretariat, and praised his intelligence and flexible, pragmatic ideas instead of rigid adherence to party ideology. Gorbachev was aided by a lack of serious competition in the Politburo. He immediately began appointing younger men of his generation to important party posts, including Nikolai Ryzhkov, Secretary of Economics, Viktor Cherbrikov, KGB Chief, Foreign Minister Eduard Shevardnadze (replacing the 75-year-old Gromyko), Secretary of Defense Industries Lev Zaikov [ru], and Secretary of Construction Boris Yeltsin. Removed from the Politburo and Secretariat was Grigory Romanov, who had been Gorbachev's most significant rival for the position of General Secretary. Gromyko's removal as Foreign Minister was the most unexpected change given his decades of unflinching, faithful service compared to the unknown, inexperienced Shevardnadze. Yuri Vladimirovich Andropov was a Soviet politician and the fourth General Secretary of the Communist Party of the Soviet Union. Following the 18-year rule of Leonid Brezhnev, Andropov served in the post from November 1982 until his death in February 1984. 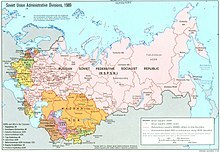 The Era of Stagnation was the period in the history of the Soviet Union which began during the rule of Leonid Brezhnev (1964–1982) and continued under Yuri Andropov (1982–1984) and Konstantin Chernenko (1984–1985). The term "Era of Stagnation" was coined by Mikhail Gorbachev in order to describe the negative way in which he viewed the economic, political, and social policies of the period. 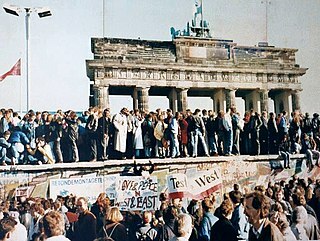 The Cold War (1979–1985) refers to the phase of a deterioration in relations between the Soviet Union and the West arising from the Soviet invasion of Afghanistan in December 1979. With the election of British Prime Minister Margaret Thatcher in 1979, and United States President Ronald Reagan in 1980, a corresponding change in Western foreign policy approach toward the Soviet Union was marked with the abandonment of détente in favor of the Reagan Doctrine policy of rollback, with the stated goal of dissolving Soviet influence in Soviet Bloc countries. During this time, the threat of nuclear war had reached new heights not seen since the Cuban Missile Crisis. 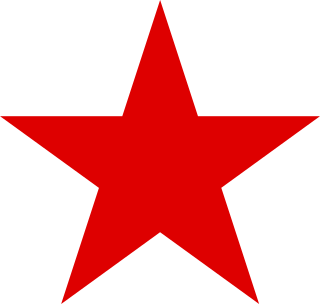 The 27th Congress of the Communist Party of the Soviet Union was held from 25 February to 6 March 1986 in Moscow. This was the first congress presided over by Mikhail Gorbachev as General Secretary of the Central Committee of the CPSU. In accordance with the pattern set 20 years earlier by Leonid Brezhnev, the congress occurred five years after the previous CPSU Congress. Much had changed in those five years. Key figures of Soviet politics, Mikhail Suslov, Leonid Brezhnev, Yuri Andropov, Dmitriy Ustinov, and Konstantin Chernenko had died, and Mikhail Gorbachev had become General Secretary of the Party. For this reason the congress was widely anticipated, both at home and abroad, as an indicator of Gorbachev's new policies and directions. The congress was attended by 4993 delegates. It elected the 27th Central Committee.